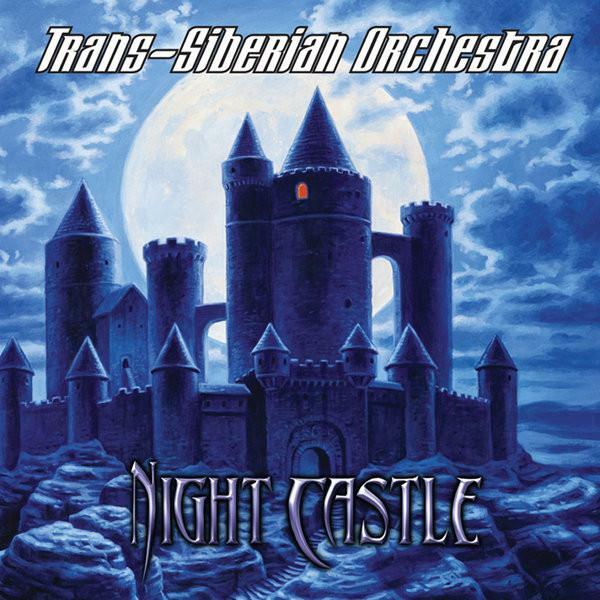 TRANS-SIBERIAN ORCHESTRA welcomes you to “Night Castle”, their most ambitious Rock Opera to date. European release date set for February 18th, 2011. Following the successful debut of “Night Castle” in the US (which entered the Billboard charts at # 5 and was certified gold in 8 weeks), TRANS-SIBERIAN ORCHESTRA have confirmed “Night Castle”‘s European Release date for February 18th , 2011 via BMG Rights Management. “Night Castle” is without question TSO’s most ambitious and adventurous work to date. A sweeping two-disc set whose 28 songs embrace hard rock theatrics, classical majesty, operatic beauty and chorale richness, “Night Castle” is TSO's ultimate creative statement, a ranscendent and enveloping experience built upon a gripping story with a resonant and timely message. As with its predecessors, the characters and narrative are sharply drawn and woven into the genre-splicing soundscape, conveying a wide range of emotions right up until the final twist at the tale's end. "I just always want to find a way to make the music more engaging and have a deeper emotional impact." “Night Castle” also merges O'Neill's high-minded musical ambitions with his keen interest in history, a tale that begins with a chance encounter between a seven-year-old girl and a mysterious stranger from New York City on a beach in California. It's a tale that weaves together light and dark, virtue and fear...and whose details are best revealed by listening to the album itself. "It's all about redemption and how even good people can make mistakes in life, and it's never too late to change them," O'Neill explains. "It's an album about good and evil and the opportunities you have in life to choose between them. When I was a kid, I used to believe everyone was basically good and, given the opportunity, we basically do the right thing. Then you get a little older and you're like, 'Wow, there are some people doing some really bad things out there.' But there's still a belief that in the end, good always wins, that your life's path is not pre-destined, you can always choose. And that gives us hope." There was plenty of help in the laboratory, of course. On “Night Castle”, O'Neill gathered his core alchemists -- Jon Oliva, Bob Kinkel, Al Pitrelli and engineering wiz Dave Wittman -- along with other TSO stalwarts such as: guitarists Chris Caffery, Alex Skolnick, Angus Clark and bassist Johnny Lee Middleton; keyboardists Jane Mangini and Derek Wieland; drummers Jeff Plate and John O. Reilly; and a vocal armada including solos by Rob Evan, Jay Pierce, Tim Hockenberry, Jennifer Cella, Alexa Goddard, Valentina Porter and Jeff Scott Soto (of Journey and Yngwie Malmsteen fame). “NightCastle”'s 68-page booklet, meanwhile, features the artwork of Greg Hildebrandt, who O'Neill notes has "become as much a member of TRANS-SIBERIAN ORCHESTRA as any of the musicians." “Night Castle” also goes beyond the opera to bring fans a set of five "bonus tracks" that "pay tribute to things that have influenced us," according to O'Neill. That includes a rendition of Emerson, Lake &amp; Palmer's "Nutrocker" with Greg Lake guesting on bass, a treatment of Carl Orff's 1930s composition "Carmina Burana" and "Child of the Night," which features Goddard -- who O'Neill notes selflessly volunteered to share vocals on "Night Enchanted” with Valentina Porter simply because the combination of their voices was stronger together than either one was alone. "That was so much in the spirit of TRANS-SIBERIAN ORCHESTRA," O'Neill explains. "This is a group -- a large group -- of very creative and talented people who want to make the best work. With that the possibilities are endless." The European Version also includes two exclusive live tracks “Requiem (Live 2010)” and “Toccata – Carpimus Noctem (Live 2010)”, both recorded on their recent "Beethoven's Last Night" US tour at the Verizon Theatre in Grand Prairie, TX.